Se vende solo en una joya o en pareja. 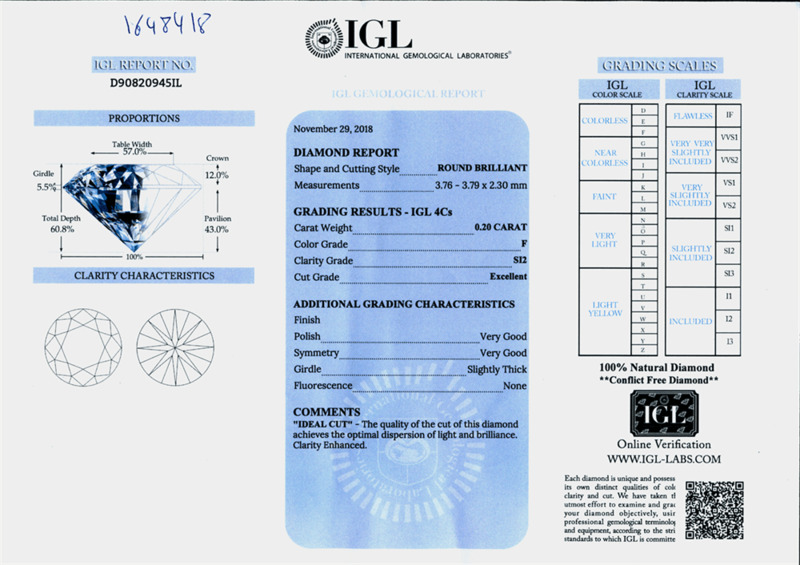 Ideal Cut diamonds are categorized as the top 3% of diamonds based on the cut quality, reflecting the most amount of light these diamonds have a sparkle rarely seen beauty. Ideal Cuts are the rarest and most brilliant of all diamonds. F Color Diamonds are known as either 'colorless' or 'exceptionally white'. These diamonds are the most popular color choice for diamond engagement rings. Impeccable brilliance and shine give it a lifetime of beauty. "Muy agradecido por sus atenciones"